1) One of the things you notice about the lying news media and the lying politicians is that they never discuss wherethemoney went. Who got richer and who got poorer. Anyone wantto guess which EU banks have accounts to hold the money stolen from Greece by past tax evasion, etc? Or how much Greece's creditors did to aid past Greek corruption? I wonder when the lowly Mafiz loan sharks finally catch on and start lending to politicians? I hope you post to the Zero Hedge website. A lot of great economic news and comments. it is a fraud, as simple as that. 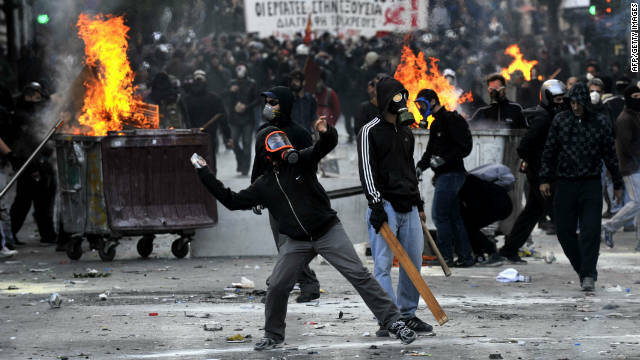 They want to steal the national wealth of Greek people,land, public water system, electricity system, ports, airports, railways, mineral resources, private property etc we are talking about Real wealth not printed papers...of course other nations are to follow. While I agree with most of your article, I'm not sure that I agree about all the conclusions. I tend to blame corrupt politicians much more than banks. Perhaps they are in collusion, I don't know. I don't see any hedge funds making money, they probably lost all of it. 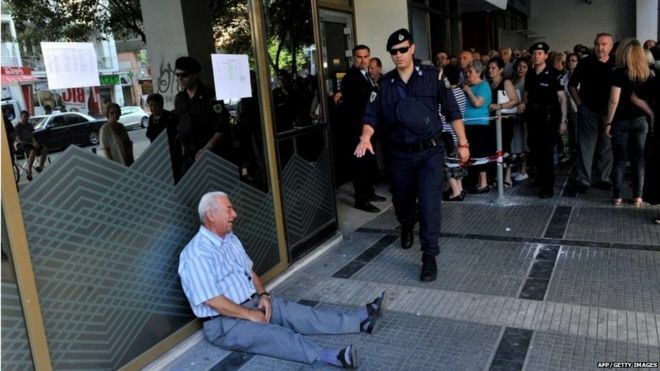 I feel sorry for the people of Greece, but it is they who continue to vote the corruption in. That must be stopped. Both Argentina and Greece make very solid arguments, IMO, against foreign aid altogether. Let each country stand on it's own. How can you avoid voting corruption in -- when the politicans make you promises before the elections and then stab you in the back afterwards? And it is not just Greece and Argentina. The US Democratic Party is a massive con game. I worked for the Obama campaign in 2008 -- both primary and general. Admittedly, I did it because I despised Hillary and John McCain. But I and many other Obama supporters have been aghast at how he shoveled money out to the Rich while dumping massive misery and unemployment onto the average citizens. The two outsiders getting support in the USA are Bernie Sanders and Donald Trump. Trump is a billionaire whereas Bernie Sanders is one of the few Senators who is close to being poor. But who is more likely to sell us out as President? Does anyone think Bill Clinton got that $200 million in wealth giving $700,000 speeches to the Little People after leaving the White House? Does anyone think Michele Obama hasn't noticed the value of Rich friends? I don't know -- maybe Trump is rich enough that he doesn't have to sell the lives of another 13,000 Americans to the Israel Lobby and Big Oil. Meanwhile, who is going to pay off that $18 Trillion in US federal debt? And make good on the $40 Trillion shortfall in assets needed to make good on promises to baby boomers who have been paying into Social Security and Medicare "accounts" for 45 years. Accounts which are empty.